There's no better place than London to go shopping. As one of the four big capitals of fashion, the City always provides what you are looking for, regardless of what your budget is. Of course I would love to go to Dover Street Market and splash the cash, but being more realistic I've decided to focus on high street fashion, which is affordable for all of us and yet pretty awesome too. Everytime I go shopping, I like to wander around all the shops and just browse. There's a lot of temptations and impulsive shopping (specially for fashion victims like moi) when you are out and about, so it is important you go through every shop and then decide which items you can't live without. Finally, I like to end my trip going into Selfridges. I know it's not the cheapest place but if you check their concession stores on the Ground Floor (called womens street fashion) or the Women's contemporary stores on their Third Floor, I am sure you'll score a great item. All white errrrthing. 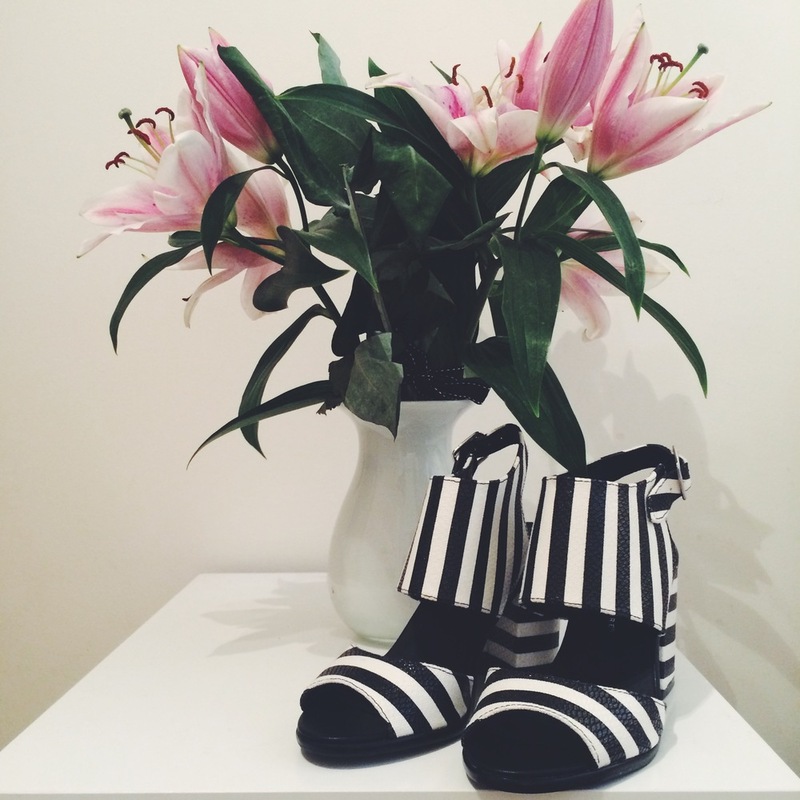 Monochrome is timeless and B&W stripes are never outdated, right? 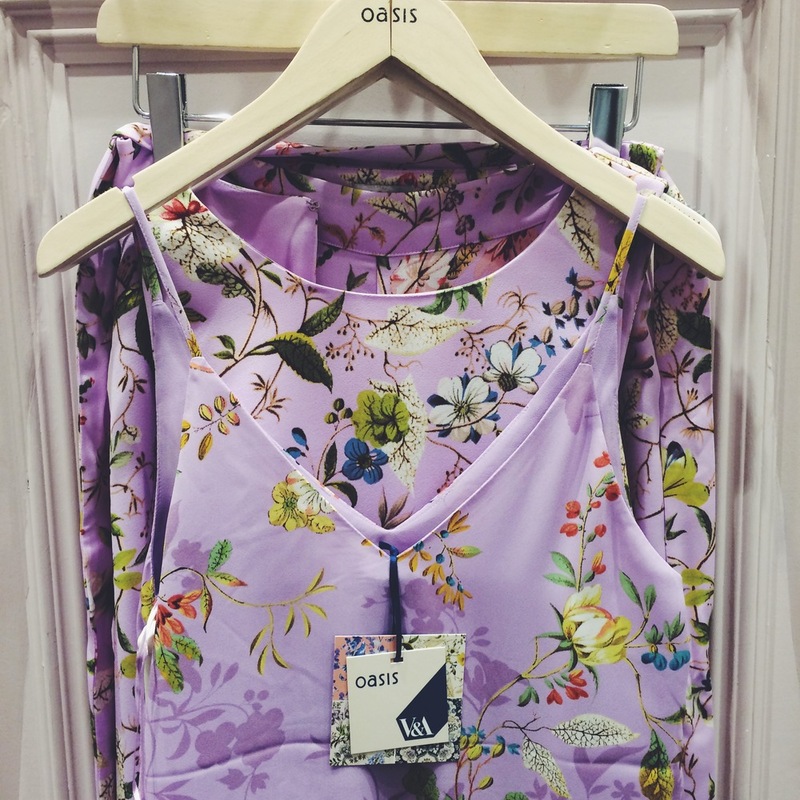 Florals. Because it wouldn't be spring without them. 70's vibe. What is old is good and what is vintage is better: flares, fringes, and lots of suede. Shoes My most known addiction. This summer I'm all about mules, gladiators and platforms. To conclude, a little glimpse of my shopping list is below these lines. Enjoy the shopping careless readers! I'm wearing ZARA suede mules & bag, pinapple keychain from &Other Stories, and Oh My Dior! 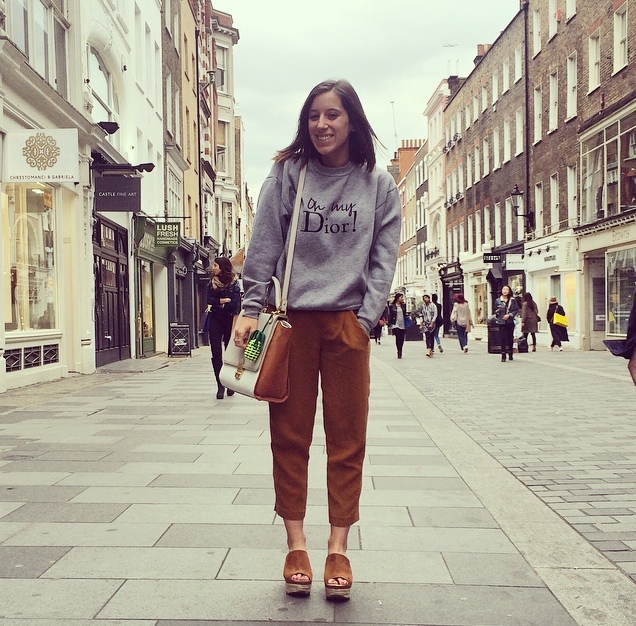 jumper from BubbleShopBcn while browsing the streets of London for some fashion inspiration.